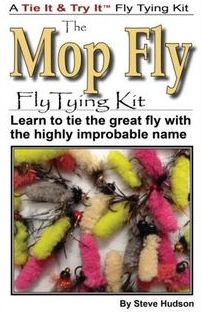 Check out our TIE IT & TRY IT fly tying kits! 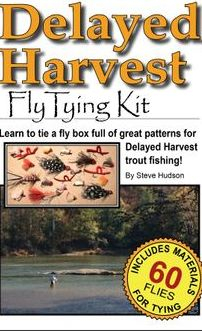 Chattahoochee Media is proud to offer its line of TIE IT & TRY IT™ fly tying kits! 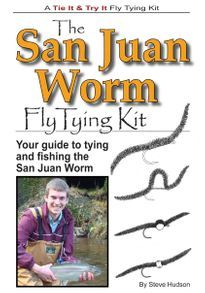 Each kit contains all materials needed (except tying thread) to tie 15 flies (but don't be surprised if you find extra materials included!) 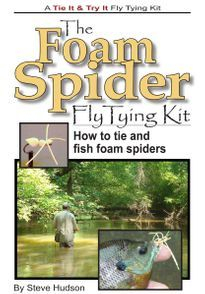 plus a full-size, fully-illustrated tying guide that shows you exactly how to tie the flies. 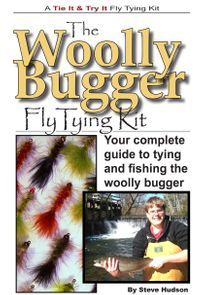 Each guide features the clear step-by-step instructions and detailed illustrations that you've come to expect from Chattahoochee Media's fly tying publications. 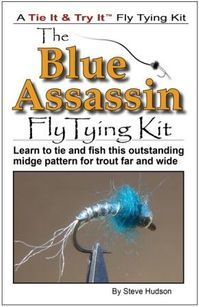 These kits are the perfect way to learn to tie a new fly or to help you stock up your fly box for the coming season or an upcoming fishing trip. 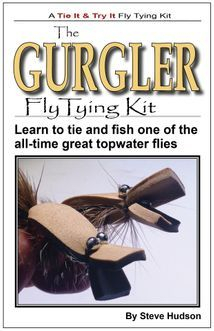 They make great gifts for any fly tyer too! Watch for more kits to be added in the future. Just in time for white bass season! At Chattahoochee Media, we love fishing the annual springtime white bass runs. 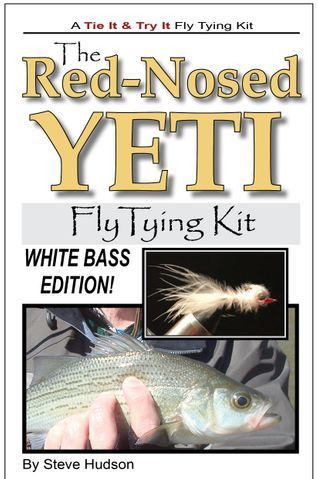 Several years ago, while experimenting with patterns for white bass fishing, I came up with a fly that I call the Red-Nosed Yeti. Designed to be a fast-sinking imitation of the small minnows that white bass love to eat, it quickly became my favorite go-to fly on Georgia's white bass streams. 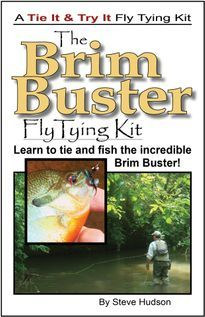 Friends across the country tell me it works just as well in their local white bass waters, too, and now I'm pleased to offer a kit to help you learn to tie and fish the Red-Nosed Yeti yourself. 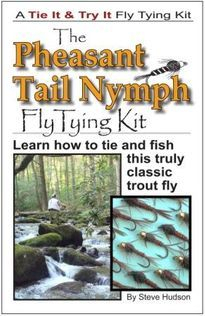 We are excited to announce the latest addition to our growing line of TIE IT & TRY IT Fly Tying Kits - the RUBBERLEGS Fly Tying Kit, which will make you a master at tying this highly effective stonefly nymph in no time! The Rubberlegs style of stonefly nymph has proven to be effective. 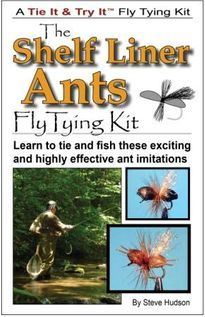 Trout seem to love to chow down on these big and meaty insects whenever the opportunity arises, and this kit gives you everything you need to start tying Rubberlegs of your own. 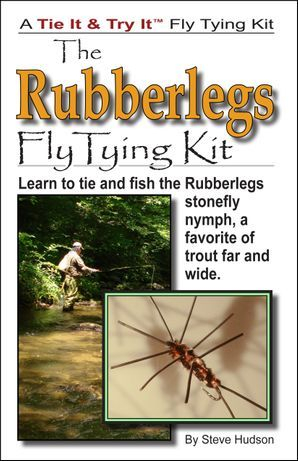 It includes everything you need (except thread) to tie at least 15 great Rubberlegs stonefly nymph imitations in a variety of colors and in weighted and unweighted styles. Check out this new kit. I'm sure that you'll be as excited about it as we are! 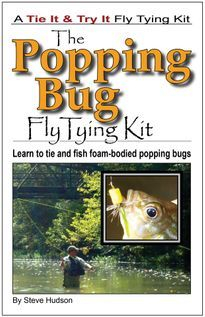 Be sure to check out the rest of our TIE IT & TRY IT kits too. 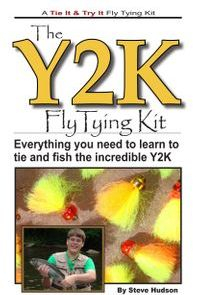 They've helped thousands of tyers learn to tie and fish new patterns. And be sure to check out the rest of our exciting TIE IT & TRY IT kits below!